Images, photos, designs, charts, data – many of these information are commonly stored in an image file format, and even those less common are sometimes only available as JPG, PNG, or a similar image file. Many layouts, designs, and templates are available in even less known formats like SVG or TGA. As a user or client, you may still want to open them or present the data in an appealing way. And as a designer, coder, or provider, you may want to give your clients a version of your work that can be opened without any problem and easily displayed and presented. Sure, JPG is the most widely spread image file format, and can be opened on many devices, even mobile ones. Yet, an image file is in some cases not what your client or the circumstances need. Then, it’s time to convert your image to PDF! 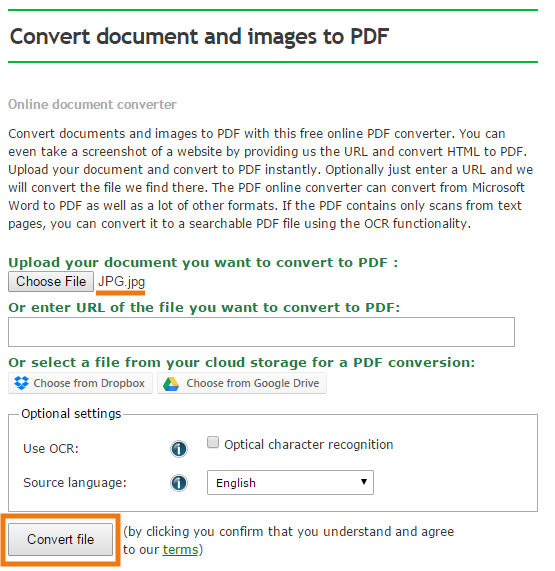 The conversion of your file into the PDF format couldn’t be easier than using this online PDF converter. 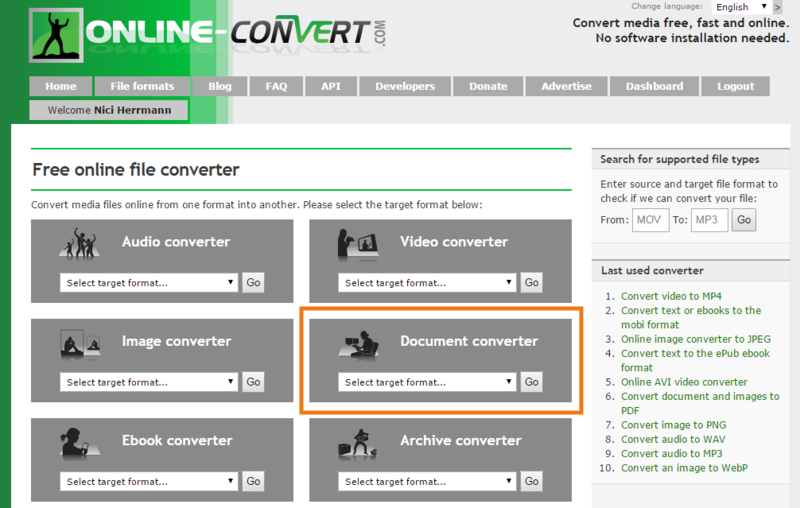 On the homepage of Online-Convert.com, you can find it in the document converter category. This and the image you want to convert is all you need. If you opened the converter, it’s time to choose the file you want to convert. Here, you have three possibilities and you can of course choose the one that suits you or the circumstances best. Upload your JPG from your computer or (external) hard drive. Upload your image using a link to the image from the web. Access your JPG from a cloud storage like Dropbox or Google Drive. Once you choose the file from one of the sources mentioned above, all you have to do is click on “Convert File”. Depending on how big the file is, it may take a while to convert it. Don’t close the tab while waiting. The download will start once the conversion is done, but of course you also have the possibility to save it to Google Drive or Dropbox, or send it to an email address. Usually, the resulting PDF file can be found in the download folder, unless specified differently in your browser settings. Opening it you will find the perfectly converted JPG. Of course, JPG is not the only file format you can convert to PDF! All other kinds of image files like BMP, GIF, PNG, SVG, TGA, or TIFF are supported as well. Documents like DOC, DOCX, ODT, RTF, or TXT can be converted to PDF as well. You can read more about why you would want to convert from Word to PDF here. Presentations can be converted to PDF as well, making sure that any computer or device can play your PowerPoint or Open Office presentation. eBook files are another file type that can be easily converted to PDF. 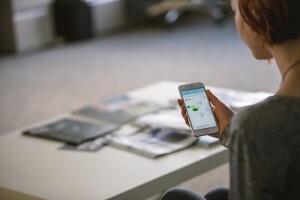 Read more about how to become more flexible when converting EPUB or MOBI to PDF. 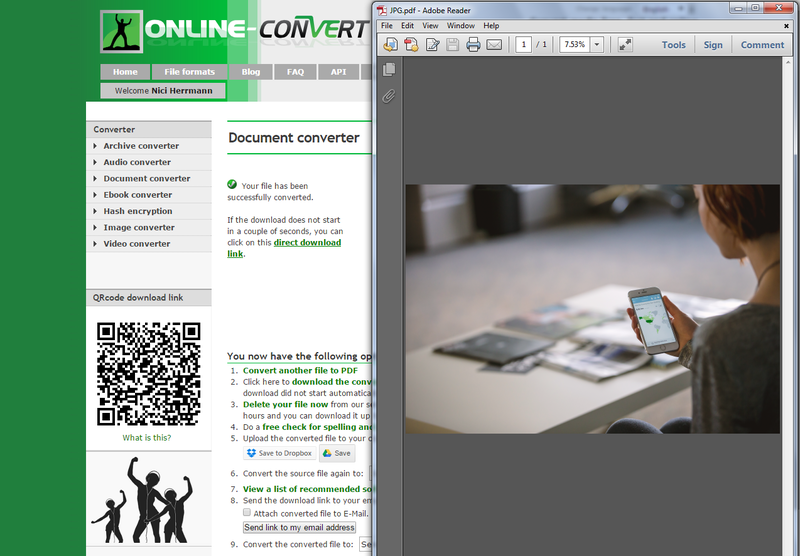 Last but not least, you can easily convert websites and online articles to PDF by simply providing the link.